Welcome to our Coral Bookies Review. In our Coral Bookies Review you will also be able to claim an initial deposit bonus of up to £20 after placing just a single £5 bet. Make sure you click through one of our banners or THIS LINK to validate the bonus. 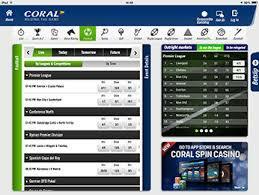 Coral are one of the most trusted UK bookies who have a solid customer base both in the high street and online. They have been operating for over 75 years and have over 1500 land based shops. They have struggled in the online market and focused on their high street efforts but are slowly starting to realise their potential online with some very attractive offers. With an easy to use interface, a very nicely laid out lobby and easy to find sports betting sections, this is a top site for new bettors and experienced bettors alike. 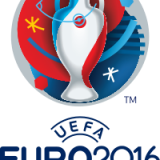 They have a truly massive selection of in-play betting and bonuses and promotions clearly highlighted. The clean cut interface is easy on the eye and they are constantly evolving to make ease of use a selling point. As they try to muscle in on the online market, Coral are pulling out some excellent bonuses and top promotions to their online punters. Of course they offer best odds guaranteed for horse racing fans but that’s only the start of it. Their initial bonus of 400% (bet £5 get £20) is top notch for amateur punters and they have some top drawer promotions for seasoned bettors with “insurance free bets” up to £25 FREE BET. This is a top point of Coral who specialise in offering a very wide range of betting. Their futures market is top notch and they also have a massive range of current betting from the usual football, golf, horse racing to the more specialist betting such as speedway, politics, TV specials and a whole range of American markets including NFL, NHL, basketball and more. Customer service is first class as you would expect from a large bookmakers. They have the usual Social Media presences on Twitter & Facebook and for more traditional methods you can phone, email, fax or even send them a letter. One big bonus is the Freephone helpline and also a Freephone number for you to place a bet if you cant access the website. They also offer the all important Live Help via their website which is very efficient and knowledgable. Unfortunately for customers outside of the UK, Coral only accept GBP for deposits which could mean exchange fees for depositing and withdrawal. That said they do have a wide range of banking options and a very low £5 deposit threshold which is a big bonus for casual bettors. Coral are slowly transforming their online brand and continuing to improve the functionality and options on their site. The addition of a Licve Help feature lately has improved their appeal. They could do with some work on their in-play betting features to give more information about the events in progress and work on the reporting of events ongoing. They offer a very nice betting app from iphone and also android users. This is one of the best apps we have tested and regularly gets glowing reviews from punters using it. If you are on the go then Coral will be one of the bookies you will want to be a member of. Coral also link to their poker, casino, games and lotto section easily and are an added bonus. The most unique feature about Coral is the £1 MILLION jackpot bet on football where you can win the jackpot by guessing 15 win/draw/lose on top football games each week for just a £1 stake. This isn’t quite as good as what Colossus Bets offers but it’s close ! Our Coral Bookies Review has shown that Coral are a growing presence online & aimed at both regular bettors and newcomers alike. They are improving every month and offer some brilliant bonus offers to keep people betting with them. Overall we can highly recommend them and are sure they will continue to innovate and give regular punters value for money.